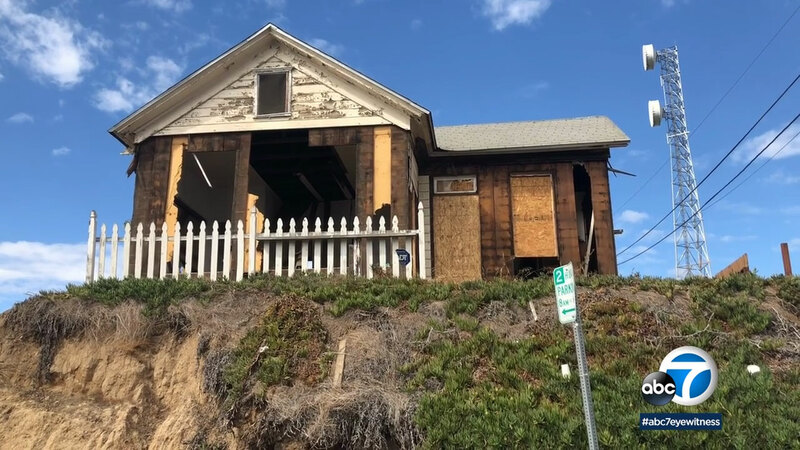 SAN PEDRO, LOS ANGELES (KABC) -- The little house on a hill in San Pedro is causing a big stir. The 1895 Victorian style house is believed to be the oldest structure remaining in the area near San Pedro's waterfront. The city of Los Angeles is taking a closer look to see if the 600-square-foot home has any historic value. The home stands in the way of a new postmodern residential, mixed-use high-rise with a rooftop restaurant to be built on the lot and adjacent parcels. Advocates for the house said it's an important piece of San Pedro's past. Critics said it's an eyesore and needs to be torn down to make way for San Pedro's future. The hill the home sits on is one of the last remaining higher street grades, which was prevalent in the port city's early years. The vacant house has fallen prey to squatters and vandals. Structural engineers said the house is too fragile to move.